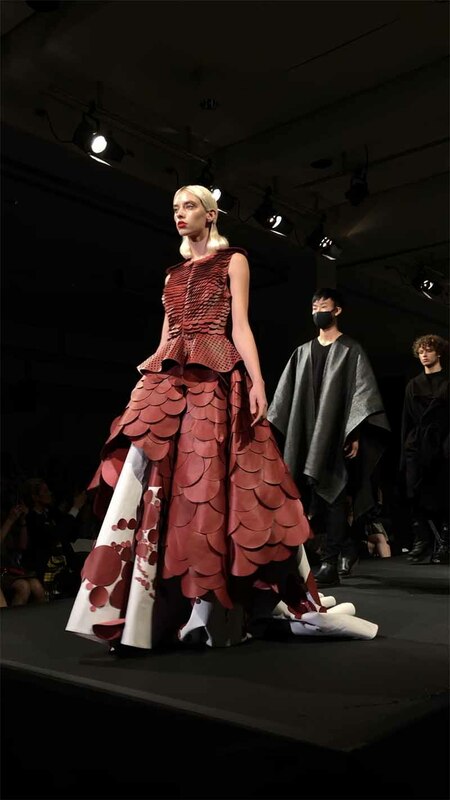 With the mantra “Fashion meets activism,” the inaugural Vegan Fashion Week was held in Los Angeles on February 1 – 4, 2019 at two exciting venues – the Natural History Museum of Los Angeles and California Market Center in Downtown LA. In attendance at the California Market Center were notable vegan enthusiasts including Moby, Mena Suvari and Harley Quinn Smith among press, influencers, and the VIP ticket holders. Upon arrival, attendees were treated to culinary innovations by French Naturaw Chef Marie-Sophie L, plant-based, vegan cocktails from Café Gratitude with FAIR. spirits, and a musical performance by harpist Naomi Greene prior to the runway show.